We are seeking Corporate sponsors for the 2018/19 season. Please contact our Chair, Ross Baxter by email at furnessbachchoir@gmail.com or call 01229 583750 if you would like to support us. We can place your logo and link to your web page throughout this site and mention your company on our publicity too. You can also choose to sponsor all or part of the orchestra, or perhaps the soloists in a concert. We will, in return for your generosity, include your business name and logo in our publicity and provide you with complimentary tickets. 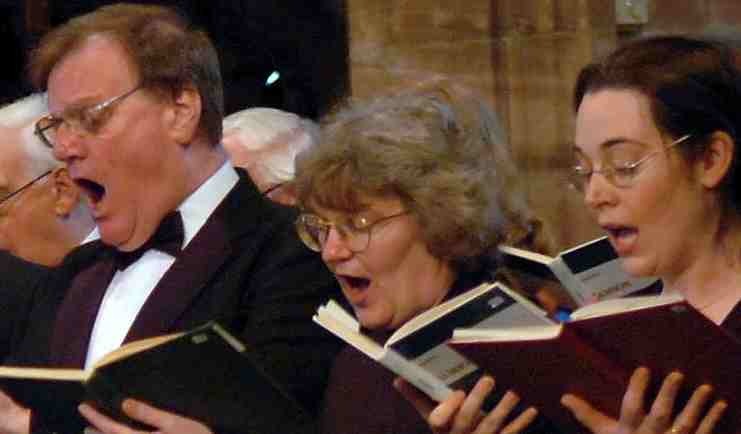 Become a Patron of the Furness Bach Choir. For an annual donation of £80 or more you receive two tickets for each of our three main concerts each year plus a complimentary programme at each concert. You also have the opportunity to buy two additional tickets at around 20% discount. OAs our patron you also receive public acknowledgement in the concert programme. Alternatively, you can choose to become a Friend of the Bach Choir. An annual subscription of £27 entitles you to one ticket for each of the choir's three main concerts a year, representing a saving on the ticket price. £50 entitles you to two tickets for each of our three concerts per year. Both our Patrons and Friends are welcome to come to our social events too.